A farm in Concord has agreed to host what would be one of the largest solar energy sites in the state. James Meinecke owns Lewis Farm with his wife Rebecca McWilliams, a current New Hampshire state legislator and former solar advocate in Massachusetts. Meinecke says they’re looking to diversify their business beyond selling produce, and they’ve been interested in renewable energy development since they bought the farm in 2016. Now, they've agreed to lease a small part of their land to a developer, Solar Wolf, which Meinecke says is seeking an investor for 5 megawatts’ worth of solar panels. “This is something that’s going to help us stay afloat as a farm for a good long time,” he says. Meinecke says Unitil has agreed to sell the farm's solar power back to the grid. But he'd like Concord residents to be able to help pay for the system themselves, by buying power for their own homes. "It's a really ideal situation,” he says. “A lot of farms in New Hampshire tend to be a lot more rural and not have as much demand immediately around them, so it's not as viable of a proposition." If the project is built as planned, within one to three years, it'll be the largest solar array in the state – up to 22,000 panels on 13 acres, enough to power about 1,500 homes a year. Other, larger solar projects are planned for municipal properties in Milford and Londonderry, but will need town meeting approval before moving forward. Meinecke says Lewis Farm won't need any special approvals for its project under Concord's current zoning rules. He hopes they can expand the array in future if those rules change. Last summer, local officials approved a non-binding plan to work toward using only renewable energy sources for heat and electricity in the city over the coming decades. New Hampshire's U.S. senators have joined calls for one of the nation's top energy regulator to recuse himself from future decisions on coal and nuclear power. The Senate voted along party lines in November to narrowly confirm Bernard McNamee as the latest member of the Federal Energy Regulatory Commission, or FERC. The town of Milford is considering leasing 120 acres of town property to a Manchester-based solar energy company. 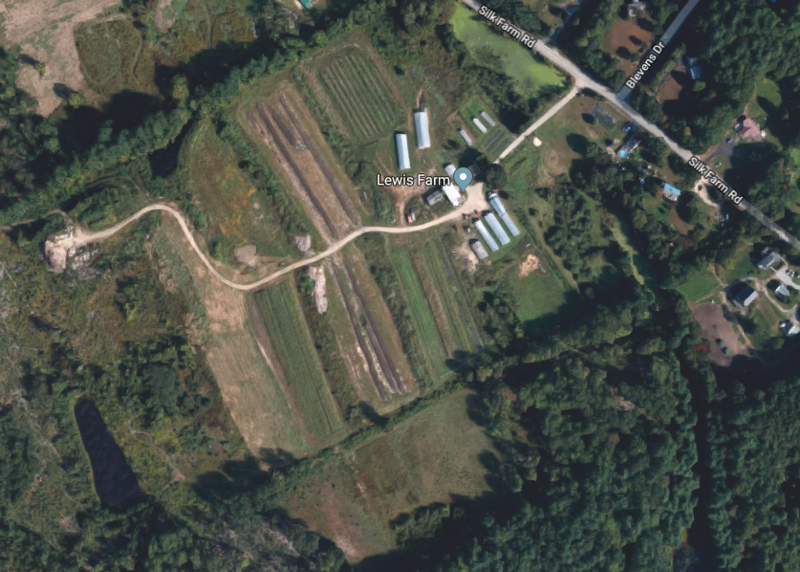 The company, Granite Apollo, has signed a letter of intent to build a solar farm on the Brox property, a former industrial site near Route 101 that used to produce gravel.